It’s always a delight when you get a booking enquiry from Europe, especially when it’s in a city you’ve never heard of, and by a promoter you’ve never crossed paths with. Break It Down, Munich ticked both boxes for this one. 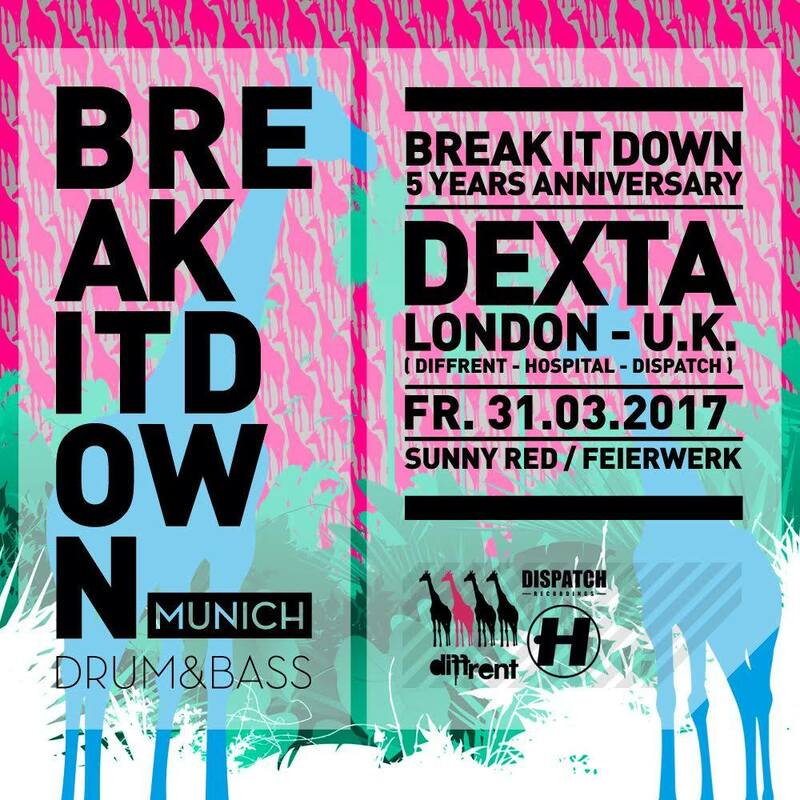 Dexta was asked to fly over and do his thing for the local Munich D&B community, which was accepted with little to no persuasion, and off he flew to spread the giraffestep sound!